Ancestry: Nathaniel Wing, ll; Alvan Wing; Lemuel Jesse Wing, Rev War; Nathaniel Wing; Ebenezer Wing; Nathaniel Wing, KP War; Stephen Wing; John Wing, Rev. 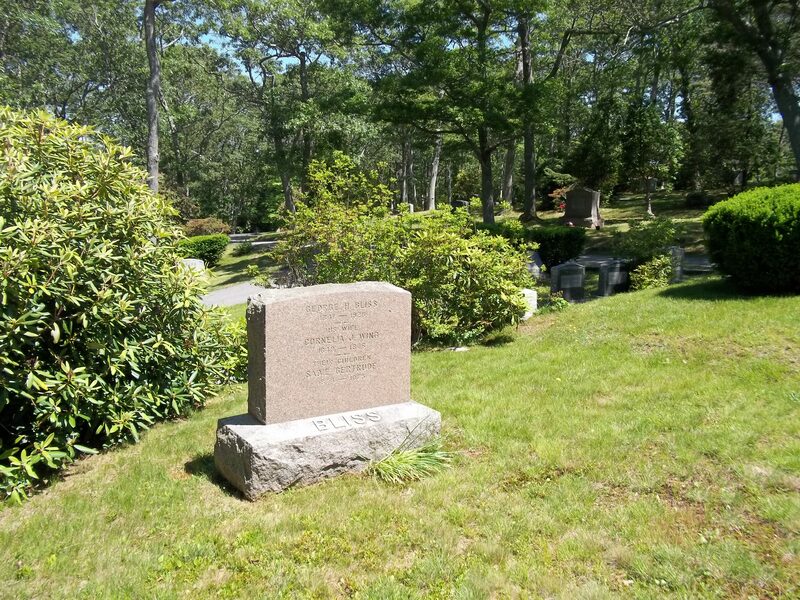 Born: April 19, 1849 in Pocasset Ma. Died: January 8, 1876 in Milford Ma. at 26 yrs, 8 mos, 19 d.
1. 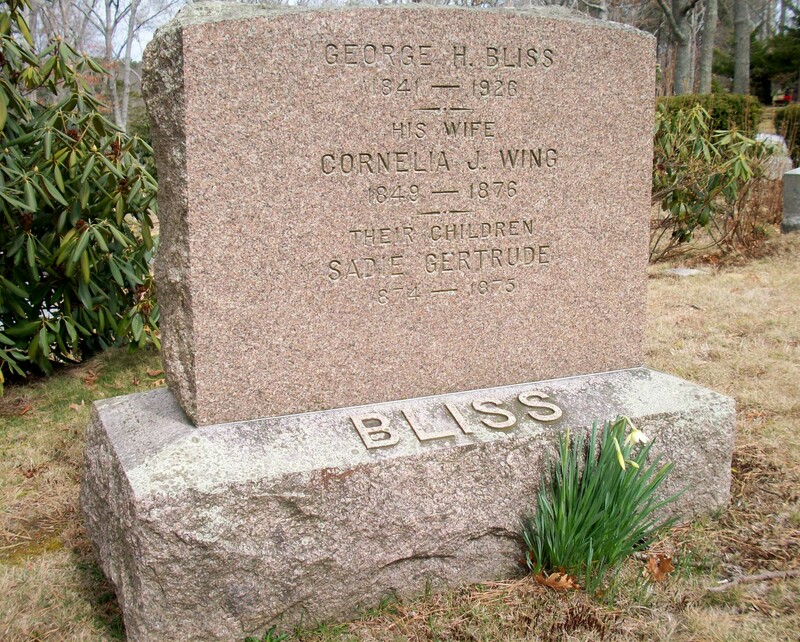 Sadie Gertrude Bliss; (1874 – 1875); Sadie died in Milford Ma. ; The town records of Milford show she died on February 11, 1878 at 6 mos, 25 d.; She is buried in Cataumet Cemetery. 2. Nellie May Bliss; (January 2, 1876 – April 4, 1947); Nellie died at 71 yrs, 3 mos, 2 d.; She is buried in Cataumet Cemetery with her grandparents, Nataniel Wing, ll & Hannah Snow Burgess.